In stock -This product will ship today if ordered within the next 6 hours and 53 minutes. A Vogel Aesculus Hippocastanum is the botanical name for the Horse Chestnut tree, or sometimes, simply the Aesculus tree. It is the fruit of the tree which is used to make Aesculus tincture. Aesculus fruit are familiar to many as conkers. They contain a valuable constituent called aescin which is useful for helping maintain the health of veins. So the next time autumn comes round, remember that conkers deserve to be recognised for more than just being battered around by kids – they can also be used for those with tired, heavy legs. Tincture of fresh Aesculus Hippocastanum (Horse Chestnut) seeds, extracted in alcohol (68%V/V). 20 drops twice a day immediately after meals in a little water. This product is not recommended for children. Avoid during pregnancy or if breastfeeding. 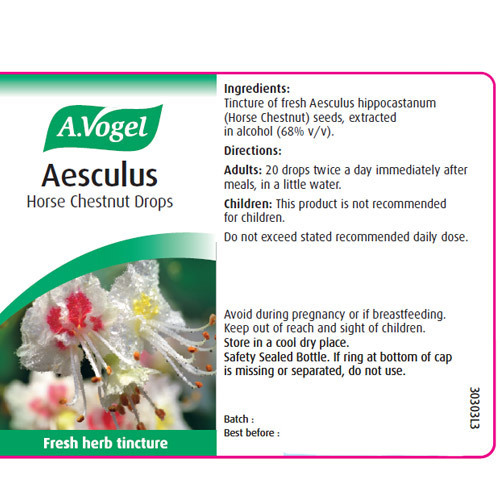 Below are reviews of A Vogel Aesculus - Horse Chestnut Drops - 50ml by bodykind customers. If you have tried this product we'd love to hear what you think so please leave a review. A Vogel products are of high quality and work . 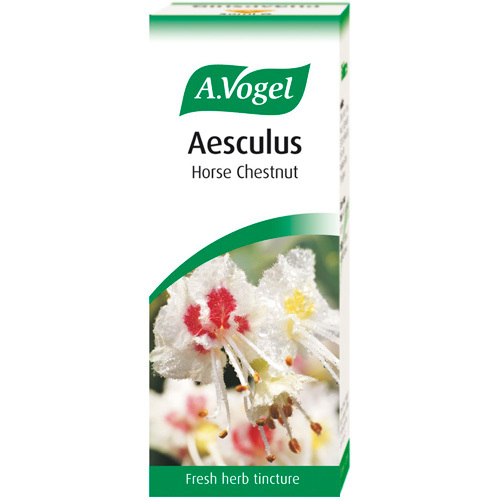 A Vogel Aesculus Horse Chestnut Drops is a botanical food supplement which may helps maintain healthy veins this product is good for tired and heavy legs.